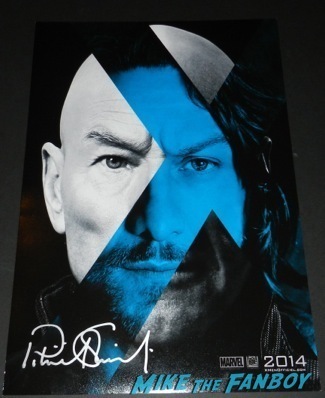 It’s very cool and brings the teaser poster to life. I love it! 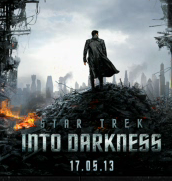 I know people are bagging on the teaser poster for Star Trek Into Darkness and saying it looks like Dark Knight Rises but you know I love it! Check out the press release and motion poster below! 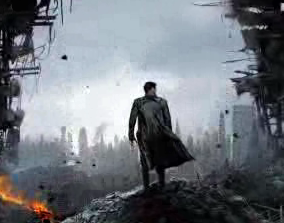 “Star Trek: Into Darkness” is directed by J.J. Abrams from a screenplay written by Damon Lindelof (Prometheus), Roberto Orci and Alex Kurtzman (Transformers, Mission: Impossible III, Star Trek). Movie Poster Round Up! With Adam Sandler in Jack and Jill! Channing Tatum in The Son Of No One! Tilda Swinton in We Need To Talk About Kevin! Justin Timberlake in In Time! Sam Worthington in A Man On A Ledge! Johnny Depp in The Rum Runner! Meryl Streep in The Iron Lady! TTM Bonus! Patrick Stewart! Ian McKellen! Plus, Send In Your TTM Success! We’ll Post And Share! 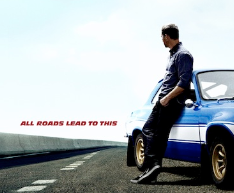 Sigh… 2 New Fast & Furious 6 Individual Movie Posters Are Out! Paul Walker! Vin Diesel! Fast Cars & B-List Celebrities! True Blood Is Back! Season 6 Promo Poster Featuring A Bloody Stephen Moyer! Nice! 6-16 Only On HBO!